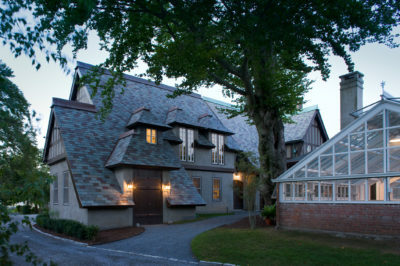 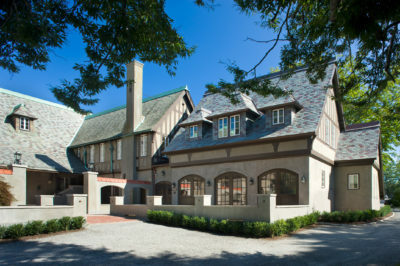 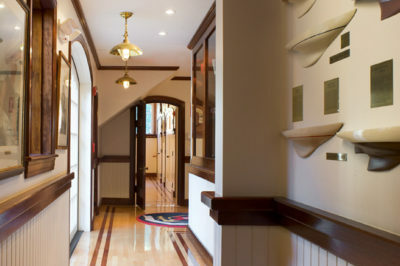 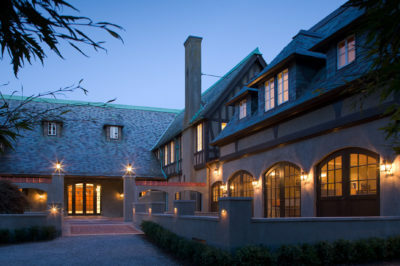 This existing carriage house was previously used for the storage of boats and equipment, the space was converted into the Club’s Multi-purpose room and Sailing Center. In keeping with the nautical theme, mahogany paneling was used in the Library and as accents throughout the renovated areas of the building. 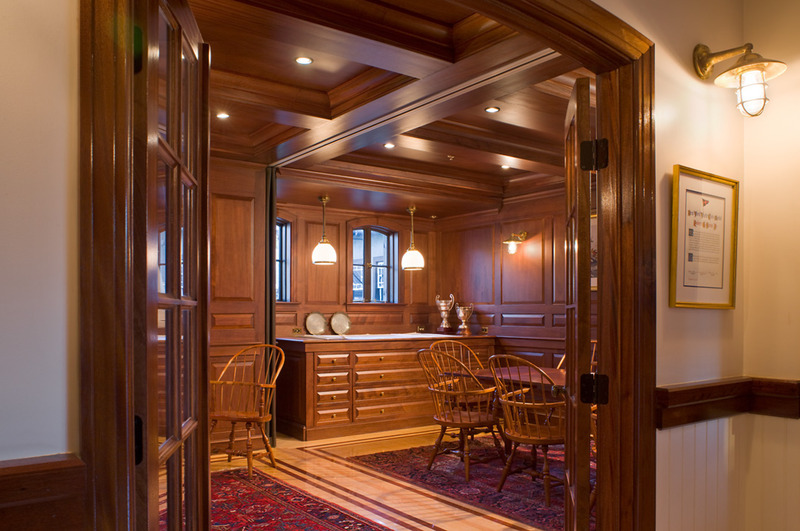 Maple flooring with mahogany inlay was installed in each of the rooms. 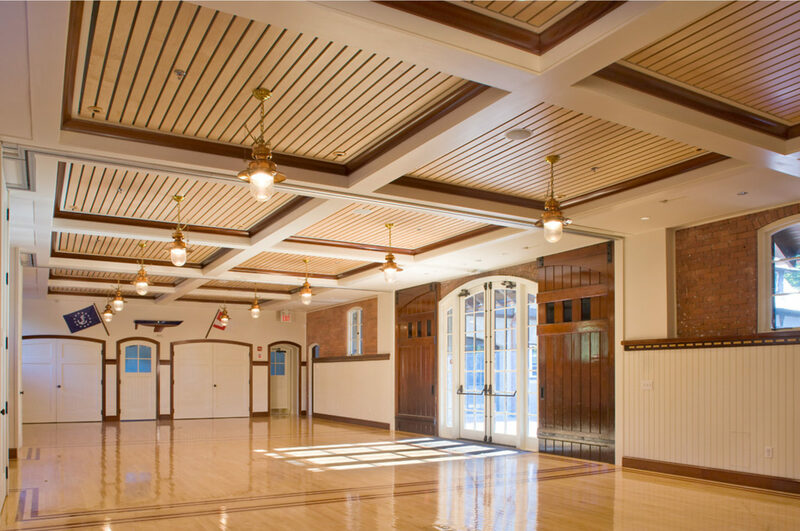 A slatted wood ceiling was installed to reduce sound vibration, quiet the space and conceal hvac equipment.